Recipes against the plague – in pharmaceutical code? Although the plague is best known for having wiped out about a third of Europe’s population in the fourteenth century, it continued to loom large as a threat to people’s health for hundreds of years, and medical writings on the Black Death or the ‘pestilence’ abounded (see e.g. Lisa Smith’s post on coffee as a cure for plague in eighteenth-century London). One of them, the Liber pestilentialis (1500) by the surgeon-apothecary Hieronymus Brunschwig (introduced here), was the first of its kind to be published as a printed book. Written in German, it had the potential to instruct a wide readership, reflecting Brunschwig’s mission to disseminate medical knowledge among laypeople. It struck me as somewhat odd, therefore, that quite a few of the recipes for remedies against the plague were given in Latin. What use were these to the readers of a book which was specifically addressed to all social ranks, including ‘common people’ who were not part of the Latin-speaking learned élite? Fortunately, Brunschwig provided an answer only a few pages on: simply copy the recipe on a slip of paper, send it off to your local apothecary, and collect your anti-plague pills a few days later. 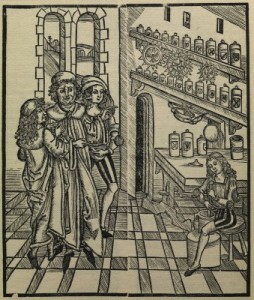 Since Brunschwig was himself an apothecary in Strasbourg where the Liber pestilentialis was first published, one might suspect that by including these recipes he was hoping to advertise his trade, and draw attention to the knowledge and skill required to turn such coded messages into remedies. By his own admission, though, this only worked for readers who lived a manageable distance from an apothecary and could afford his services and ingredients, some of which, like theriac or amber, could be very costly. But Brunschwig also catered for those readers who lived in remote villages or were less well off. Often on the same page as the Latin instructions, he included an alternative recipe in German, using cheap everyday ingredients and simple household techniques. This points to a major difficulty faced by all medical authors writing in their native tongue. They were not only up against the disdain of learned physicians who wanted to keep all medical knowledge within university walls, well away from the ignorant ‘common people’. They were also facing the daunting task of creating a scientific vernacular in which to express medical concepts: how the human body works, what happens when it becomes diseased, and what to do about it. Finding their feet on uncharted linguistic territory and creating medical terminologies was the work of generations of practitioners from the middle ages to the early modern era. By the beginning of the sixteenth century, this process had come a long way, as Brunschwig’s writing shows: in his books on surgery and distillation (see here and here), he articulates elaborate techniques and medical theories in a confident technical vernacular – albeit one peppered with terms borrowed from Latin. In the case of specialist pharmaceutical ingredients and preparations, however, Brunschwig clearly felt that no adequate vocabulary was available in German. Some ingredients were just too specific or too exotic to be known to the layman. Perhaps even more problematic were shorthand instructions such as fiat pulvis (it shall be a powder) or formentur pillule communi quantitatis (pills of equal quantity shall be formed). One can imagine what these few words translated to in practice: complicated series of decoctions, infusions, drying, boiling, grinding and mixing, all defined and learned over the course of an apprenticeship. 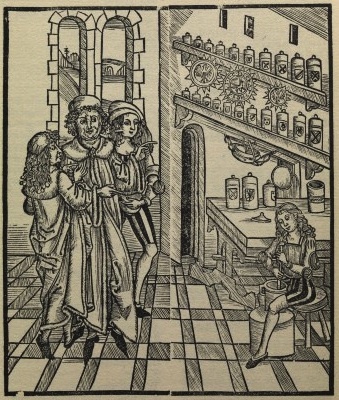 With no alternative to certain elements of Latin pharmaceutical jargon, then, the recipes in Brunschwig’s Liber pestilentialis inevitably fell into two cateogories. On the one hand, his wealthier readers had the option of having ‘professional’ remedies made according to the Latin recipes, which allowed them to tap into the entire range of medicinal ingredients and preparation techniques available at the nearest apothecary’s shop. Poorer folks and country dwellers, on the other hand, were offered a different type of recipe which could be articulated in the vernacular, required cheaper ingredients and could be managed at home. Fascinating post. Do we know if these were the first written prescriptions intended for patients to take to pharmacists, or were they based on earlier originals, maybe handwritten by doctors for individual patients? Copying them out of the book would seem to be a risky business for the patient. One mistake could change the recipe, or need a sharp-eyed pharmacist to correct. Good question – Brunschwig does not say explicitly where these recipes came from, but he was himself an apothecary, so he would likely have received these kinds of prescriptions from physicians on a regular basis. Many of them were probably simply stock-in-trade for apothecaries, who could thus be trusted to spot any obvious copying errors. In fact, one of the remedies Brunschwig recommends is so common that his readers need not copy down any instructions at all – simply ask an apothecary for ‘Trocisci profumo’ and he’ll know what to do. But I agree, there is still scope for error here! There were different varieties of Theriac (e.g. Roman vs. the new Brazilian theriac), but you’re right, it was not a medicinal simple but a complex mixture of exotic materia medica. 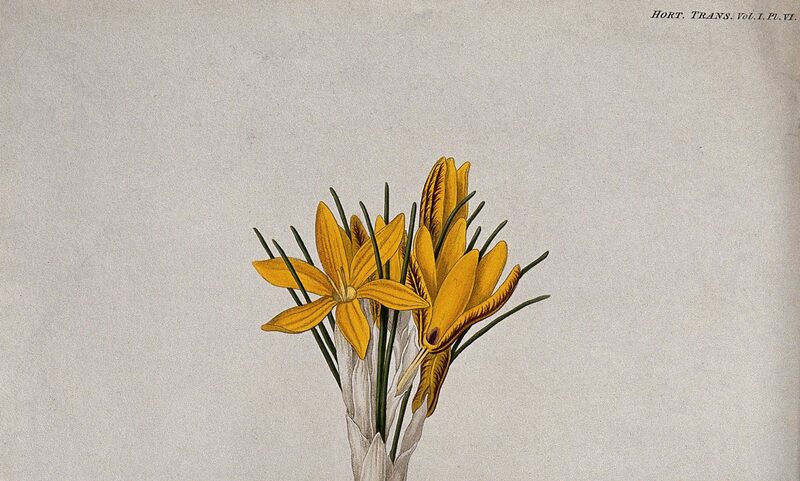 Made by a few specialists according to well-guarded recipes, theriac usually had to be imported, so from an apothecary’s point of view, it would have been an ingredient he had to buy if a recipe asked for it, rather than something he could whip up himself.